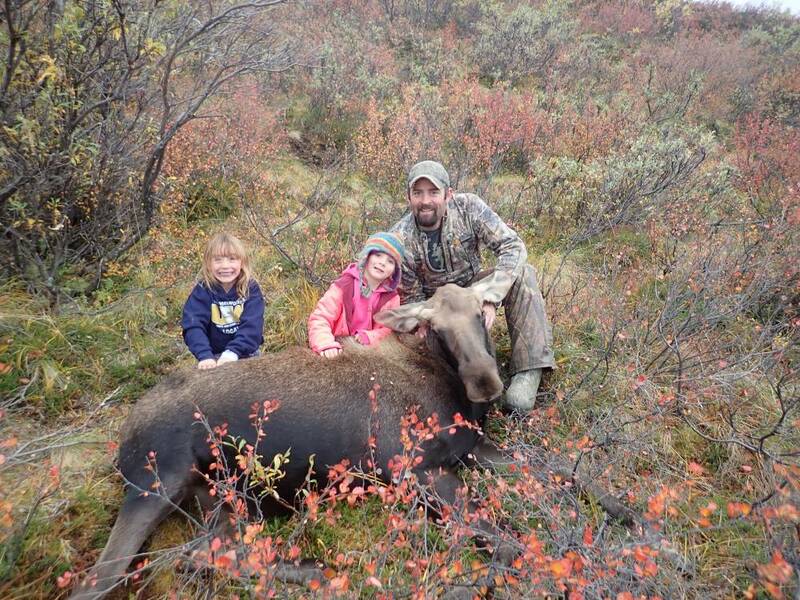 Last year my wife and I were successful in taking two moose and donated one to a local church. This year a friend of almost 30 years was fighting cancer asked if I would be willing to proxy a moose for him. Due to him not being deemed disabled we weren't able to get a proxy tag but I told him no problem since my wife and I again would both have tags and if the opertunity arose I would bring him a moose either way I was going to make sure he had meat. 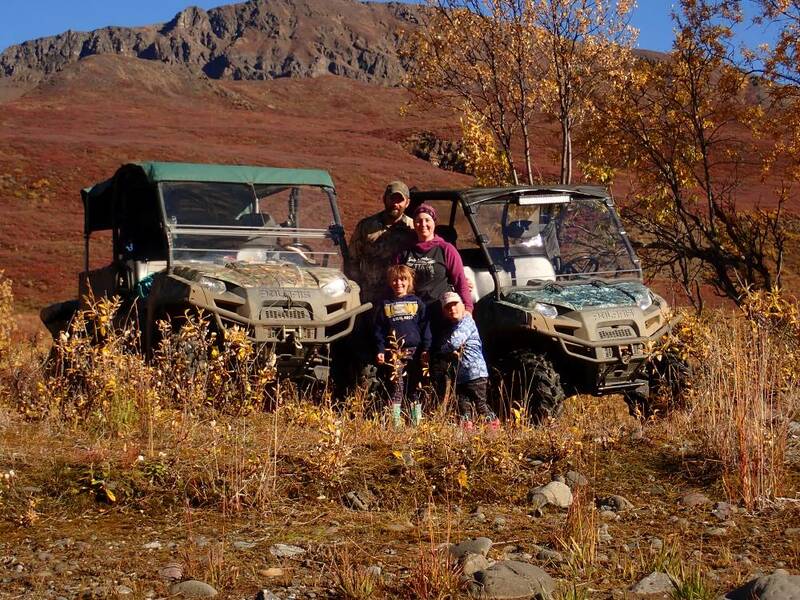 We had a fantastic trip and we're able to take two moose, probably the two smallest moose in the area but we're blessed with two none the less. My spike was about 3" long and my wife's was about 4" long. 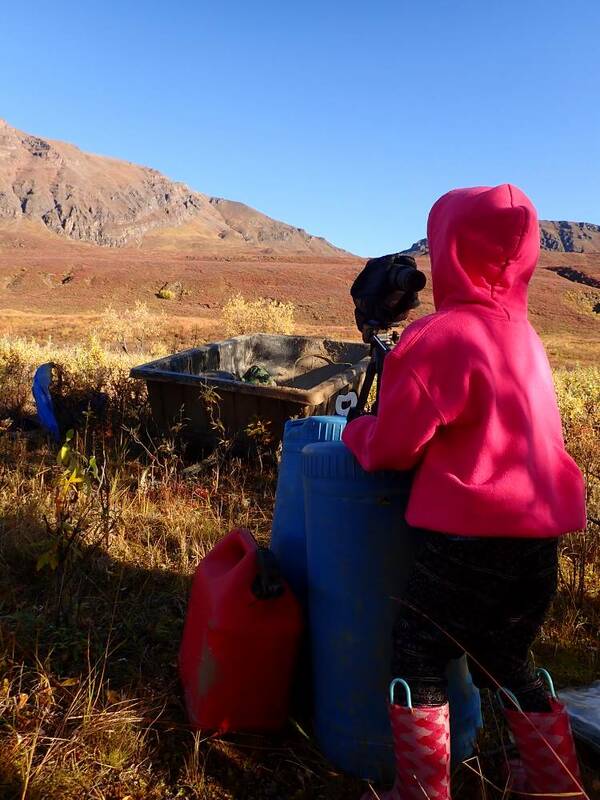 The weather was beautiful and the kids had a blast even at one point telling me they would rather go hunting than go to Hawaii. 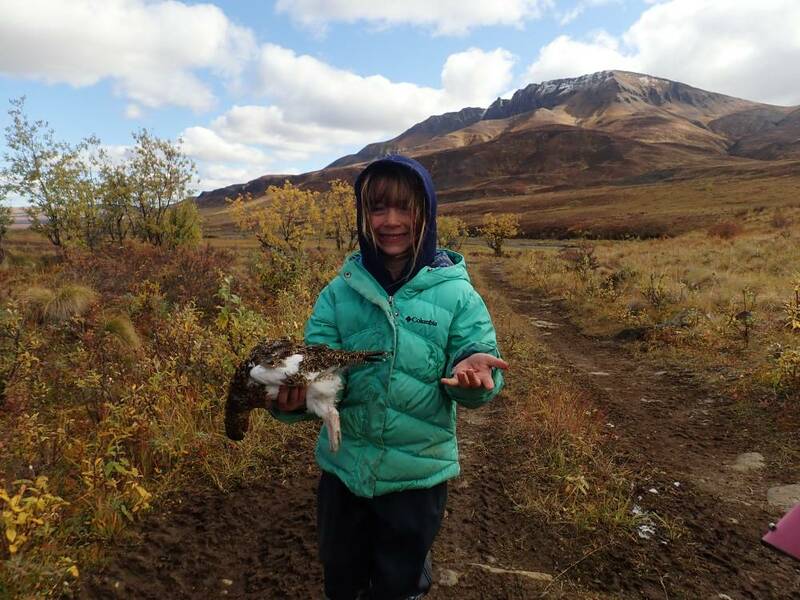 We spent 6 days, my oldest (6yrs old) put a few more Ptarmigan under her belt and even took her first two shooting off hand with her pink scoped cricket. 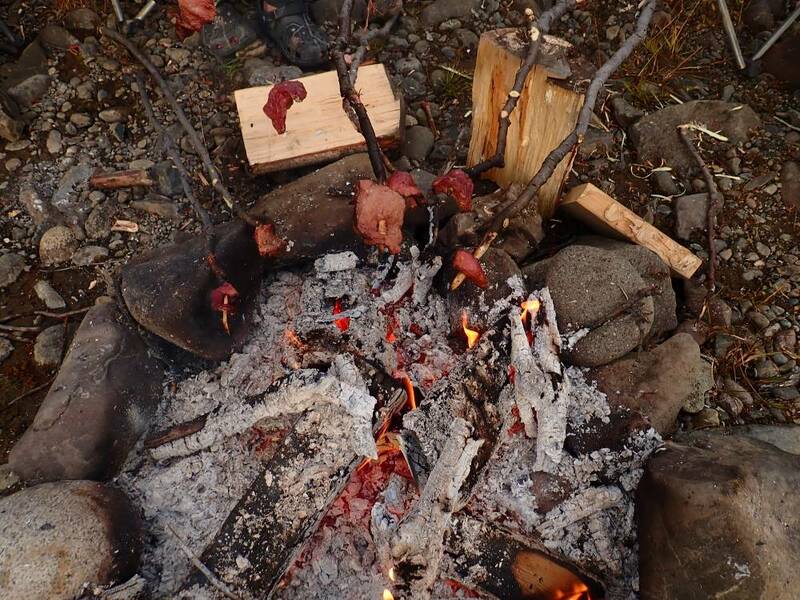 We cooked backstraps on the fire every night and enjoyed not seeing or hearing anyone else for days. 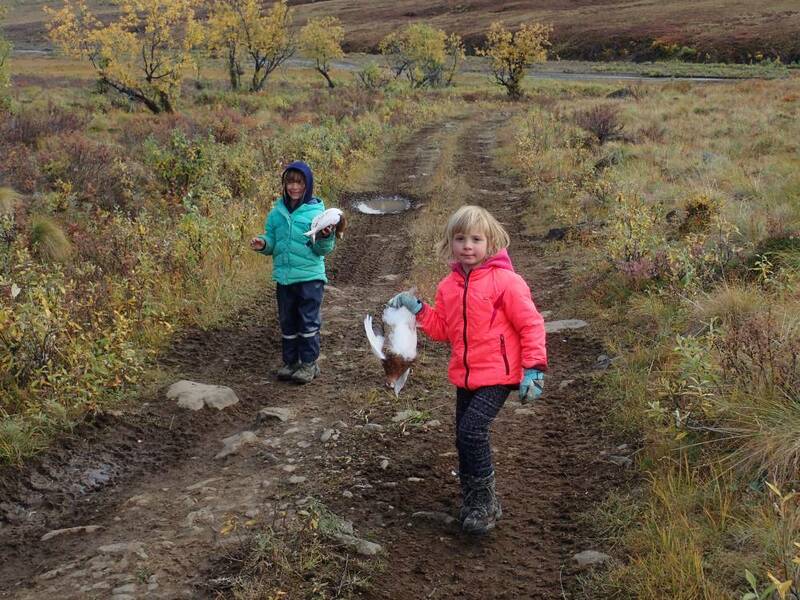 On our way out I was excited to get the meat processed and deliver a moose to my friend. Unfortunately when I got back to the truck and back into cell service I received a text that my friend had taken a quick downturn and sadly lost his fight a couple days before we came out. Now I'm back at work, the gear is cleaned and put away for our next outing, notes have been taken for next year's hunt for gear not needed and new things to add to camp. A maintenance list has been made for the side by's and my back side is finally feeling a bit better from 200 miles of riding bumpy trails. Unfortunately I still have a bit of dust in my eyes but that'll clear with time. I'm sorry to hear about the loss of your friend. How wonderful, though, that you were out there doing this for him when his journey ended. I love those pictures of your girls with their birds! Most excellent! Tom was showing me these pictures a few days ago. Also sorry to hear the loss of your friend..
to hunt with me but it's a loss I'll never forget. 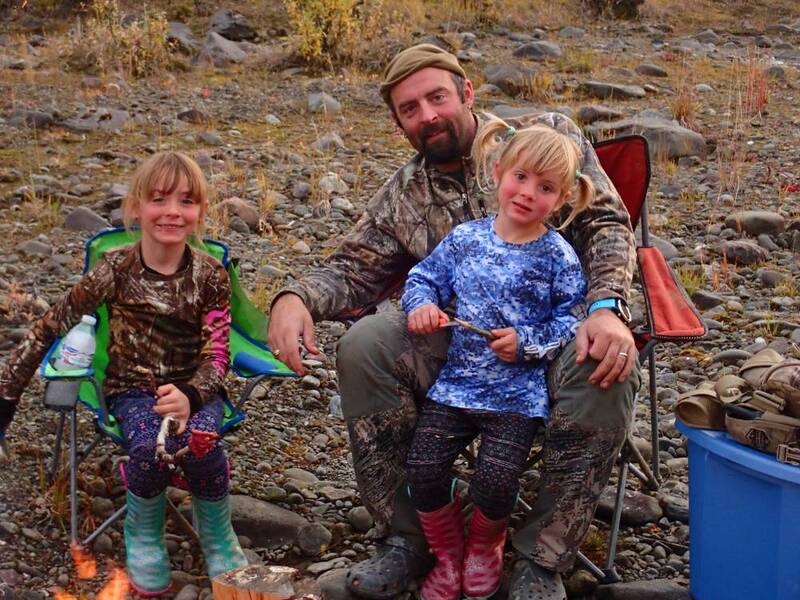 That's a great family hunt and those kids will have their own "reality series" for the rest of their lives. Sorry for your loss Tony.....congrats on a fine family hunting trip. Sorry you lost a good friend. We also have a close family friend that has terminal cancer. Sorry for your loss, But it does sound like you have many years of great memories. Sorry you lost your friend. I'm sure you were thinking of him a lot on that trip. I lost my younger brother 5 plus years ago. 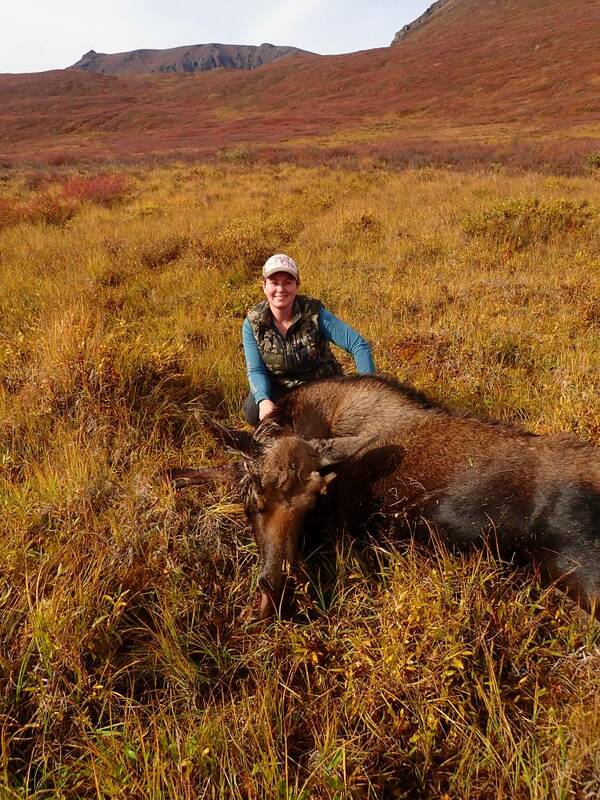 That fall I took a huge bull moose with his custom built Remington .416. It was bitter sweet. 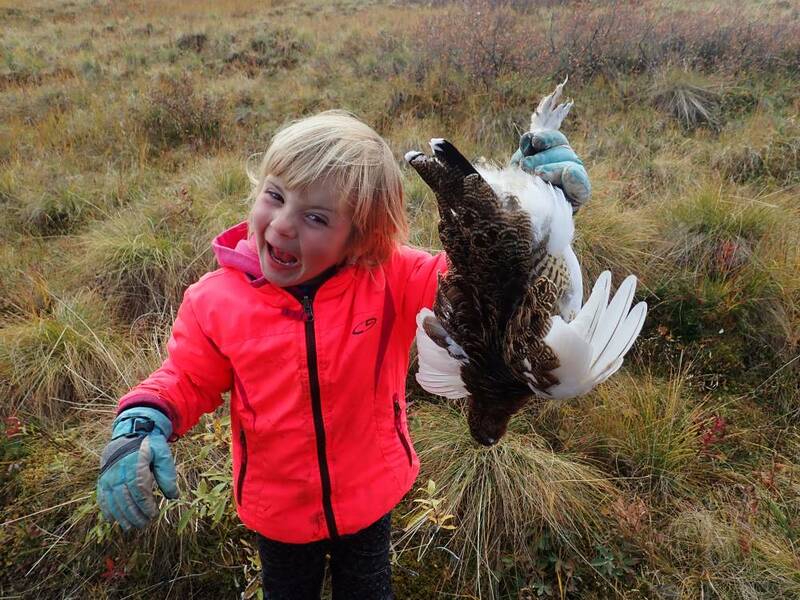 Great way to raise the girls, and a writeup, thanx!